We manufacture, supply and export a wide range of Cable Accessory that which is manufactured from high quality of ferrous and non-ferrous material. 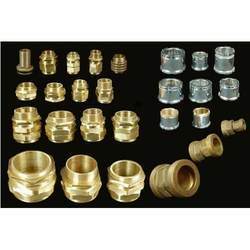 These accessories are widely used in cable applications in electrical distribution and industrial network. Our range of these Cable Accessories is durable, cost effective and can resist high electrical; stress. Our power cables are applicable to build on stilts the electric power circuit transports the electric power. 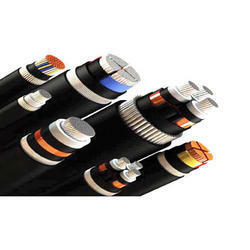 Riding on vast volumes of expertise in this arena, we are occupied in offering Power LT Cable. Conductor stranding: Solid/stranded,circular annealed,bare/tinned copper wire of 1.5 sq. mm,2.5 sq. mm,4.0 sq. mm. We are one of the most reliable companies in this domain and are into offering 2 Core LT Power Cable. Specifications. KEI also manufactures other types of cables as listed at the end of this catalogue. Supported by trained personnel, we are readily instrumental in presenting a comprehensive spectrum of LT XLPE Cable. Our organization is instrumental in trading and supplying a wide range of Low Tension (L.T) Cables. Clients from both commercial & domestic sectors avail our cables for unmatched quality and inexplicable performance. For our clients, we can offer these cables in various specifications and all of which carry features like high tensile strength & flexibility. Backed by a rich industrial experience, we have come up with a world class LT Cable. There are many options of cables that we at Prabhat Cables provide for a divergent requirements of applications. Low tension cables are as diverse as they are required in their applications. Whether copper/aluminium/armoured /unarmoured/ fire resistantFR/or fire retardant zero halogen FRZH. Industricals stocks the broadest range Polycab LT Cables to suit the operational and service requirements of all Industrial applications. Specifications. KEI also manufactures other types of cables like LT power cables and low voltage cables among others that you will find in our listed catalogue. CROSS LINKED POLYETHYLENE (XLPE) Low Tension Cables XLPE means cross-linked polyethylene or vulcanized polyethylene. The base material is low density polyethylene. LT Power Cables with PVC or XLPE insulation of voltage grade upto 3.3 KV. These cables are used in the control of the electrical distribution system in generating stations, substations, and other industrial applications. High quality armoured as well as unarmoured control cables manufactured as per IS : 1554 (Part I) standard can be installed indoors or outdoors in various projects.